ASET, a translation company who boasts of the quality of their work, seems to have just put their foot in: they sent to their existing suppliers a "new supplier package": W-9, W-8, and an 18-page contract. For some reason, e-mails from translators who are answering to this rollout are forwarded to all other translators to whom the package was sent: so far I've received 16 of these e-mails, most very critical of the way ASET behaved (among other things, the e-mails complain of unreasonable demands and extended payment terms), with more than a few translators demanding to be removed from ASET's list of suppliers. 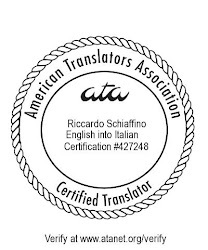 I've not had time to study the new contract myself, but this looks like a medium-sized PR fiasco for an otherwise fairly well-regarded translation company: they seem to have alienated at a stroke a number of good translators. Probably more like a major fiasco: 48 messages and counting, not a single one of them positive, and many of them from excellent translators that no good agency could afford to lose. The PM apologized in the meantime, and I have not received more of these "business proposals" but I am still somewhat scared that my well-protected e-mail address could show up on some list for spammers. ASET update: "Just discard that contract"